These are the medium size safety pin earrings that measure 1.5 inches long. They are just like the standard small 1" earrings, just a little longer. 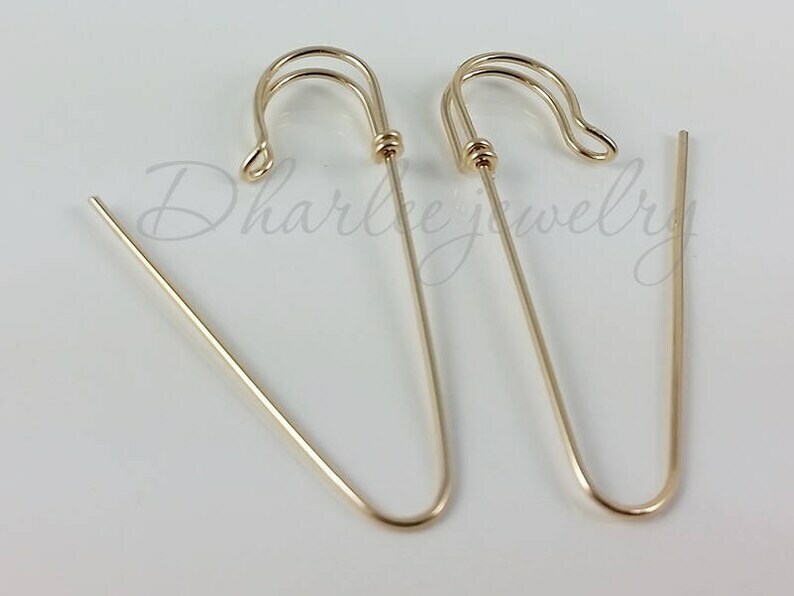 These type of safety pin earrings are different in that the loop at the bottom has been left off so they will hang like a hoop earring, straight down. They are very comfortable and light weight to wear. They are shown in the gold filled in the main photos but the photo that shows the 4 sizes I make shows earrings made in all the metals in this listing. Only want one? No problem. Use the drop down menu to buy a single earring or a pair in the metal of your choice. I will gift box it and send it to you. Love the earrings! So cute! Dharlee was great to work with and very helpful!